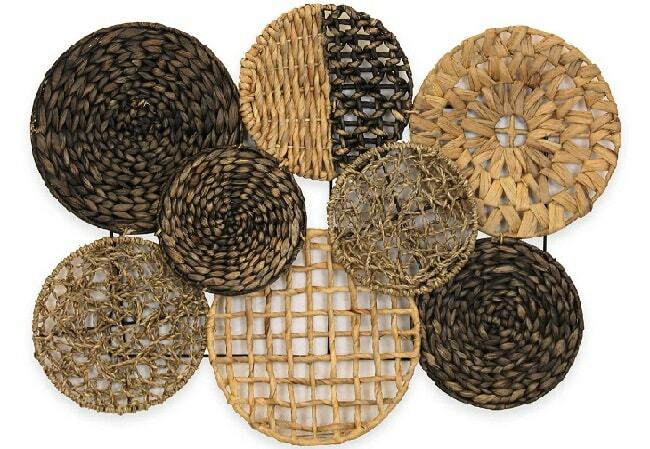 If you are interested in eclectic home decor, this article is for you. Eclectic home decor can be both a joy to look at yet a challenge to remain in “quirky” and not go straight into “weird and awkward.” When decorating your space, keep these 13 key points in mind. They have been arranged in order of the most common suggestion to a few lesser known tips. You can take these tips and apply them to how you decorate your space. There are even a few item suggestions and prices. Pick one go-to color. 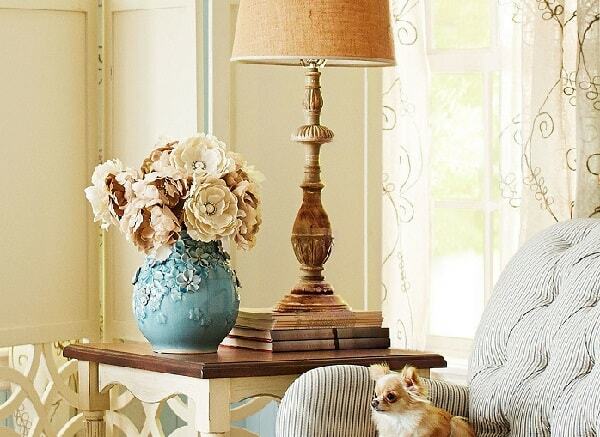 When planning eclectic home decor, pick a neutral base color. This color can pull the room together for a cohesive look. Then, as you decorate, add bits of color and texture as bits of flavor. If your house is a dish of food, imagine the backdrop is chicken and potatoes, and the bits of color the turmeric and coriander, or the dill and chives. When choosing which items to put in a room, take advantage of an unexpected mix of materials and items. For example, you can balance this woven wall art from Bed, Bath, and Beyond on a wall against these red sheer voile cotton curtains from World Market for $29.98. This will take advantage of contrasts in both color and in texture. Have a focal point in the room, and practice balance in scale, proportion, and symmetry around that point. Keep the space organized. This is a way in which an where “anything goes” approach doesn’t work. Have things that accentuate the focal point. For example, you might add a bronze fox statue from an Etsy seller for $30.00 on top of an antique end table, and have a few smaller pictures of foxes in other parts of the room. That way, the theme of foxes is organized throughout the whole room, but the eye is drawn to the largest fox in the room. Give new styles a chance. You need to take risks in eclectic home decor – be bold and unreserved. When you decorate a new way and put up something new for the first time, it may feel uncomfortable. Rather than changing it right away, wait until the room is complete and live with it for awhile. The uncomfortable feelings may dissipate, or they may target on just one part of the room the doesn’t work. Be intentional in setting up the mood of the room. Successful eclectic home decor managed to achieve a calm mix of periods and styles, and though it looks visually interesting, it is not overwhelming. For example, bring peace to an at home work space by keeping your to do list hidden in a pretty notebook like this Van Gogh lined notebook from Barnes and Noble for $8.95. Eclectic style is characterized by easily bring together old and modern items. Mixing both a few of the up-to-date accessories in the 21st century with handmade items with special sentimental value is a sure-fire way incorporate eclectic home decor. Match your patterns. For example, you may have different thickness and colors of stripes or varying shades of paisley, but mixing the two can look cluttered and feel chaotic. Balance both color and texture around the room. If you have one brightly designed throw pillow, for example, make sure the others are solid muted colors in matching tones. In another example, if another room contains an old glassware collection, counter the smooth edges with your display of conch shells. Appropriately exhibit your art or collections in something like a contained space on a shelf or naturally framed wall. Additionally, showcase what you love, your favorite stamp or antique spoon collection. As you set up your display, vary the levels on which you place your items, and juxtapose textures. Make the space visually interesting. Curate the things you put in any one room. You may have a quirky driftwood lamp base from World Market, for $199.00, but if the space feels frenetic, it will take away from the beauty and effect of the room. It is more important for the space to be calm than look cool. You’re decorating the space you are going to live in. It should not be a showroom space, but a place in which you would feel comfortable spending time and entertaining guests. The layout of the furniture and larger decorations are going to be key to creating a space you want to be in. Don’t forget to include things like empty space to place a glass, a surface on which to play cards, or leaving a clear path to another room in the house. If you begin to use eclectic home decor in your house, be sure to incorporate something unifying throughout your whole house, rather than having one eclectic room and the rest of the house not. The unifying neutral color may be pulled through the whole house or perhaps a certain style of art. Create small distinguished areas of beauty. In certain corners of a room or parts of your house, create areas that are not too busy. For example, have a small end table with a pretty vase of flowers, like this ceramic vase from Pier One Imports for $39.93. This will also help the space feel balanced between calm and chaos. When you’re trying to compare hues of color for decorating a room, don’t compare close hues side by side. Your mind will not be able to appreciate the differences and merits of each hue. Compare them separately. Something with animal print, like this $1999.99-1,099.99 Zebra Wool Rug from World Market. Candles and lanterns, like this brass metal frame terrarium from Amazon for $22.99. 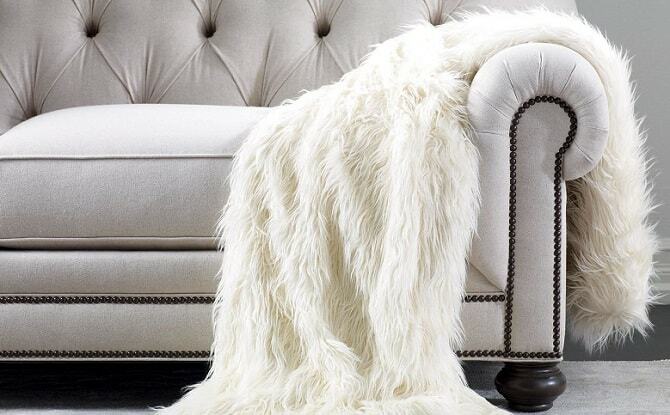 A touch of fun, like this faux fur throw. You can find it on Amazon for $49.99. Even while looking rather wild, the eclectic home decor is quite a disciplined and well-thought-out arrangement of the color palate and organized items. Taking the time to incorporate these tips and plan ahead of time will go a long way towards helping you achieve the decor style your friends will covet. 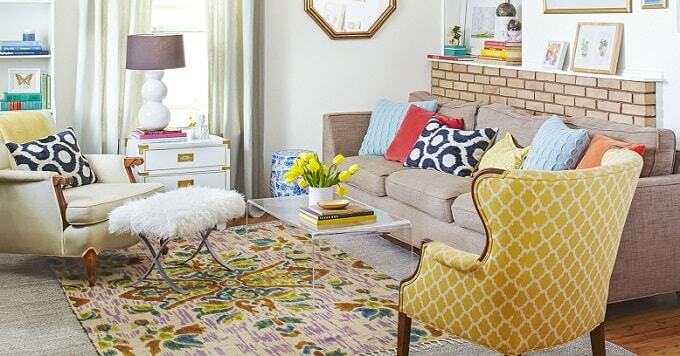 What has been your experience in the past when trying to design your eclectic home decor?